The ultimate merchandiser is here. 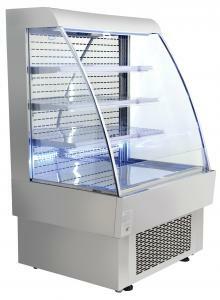 Elegantly display your products in this dual service open refrigerated floor display case. 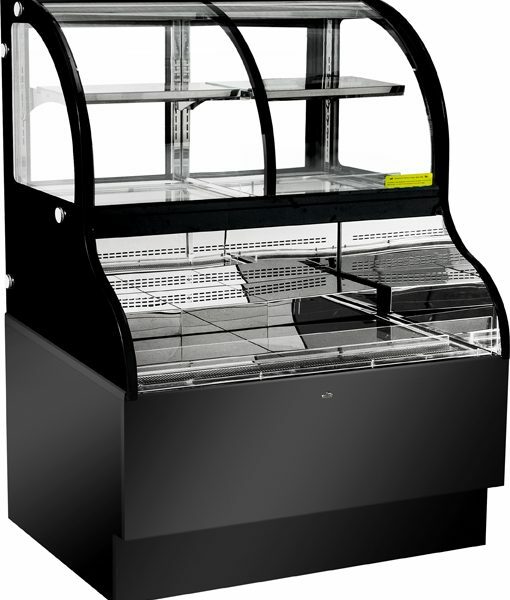 This stainless steel unit features glass shelves; turn on the LED lights and watch your products come to life in front of your customers. 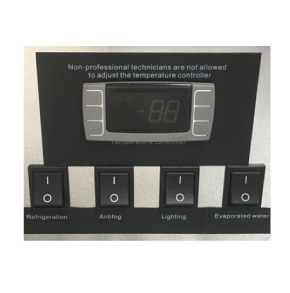 Its convenient digital controller allows you to access the temperature, refrigeration, anti-fog, lighting and evaporated water settings with just the click of a button. 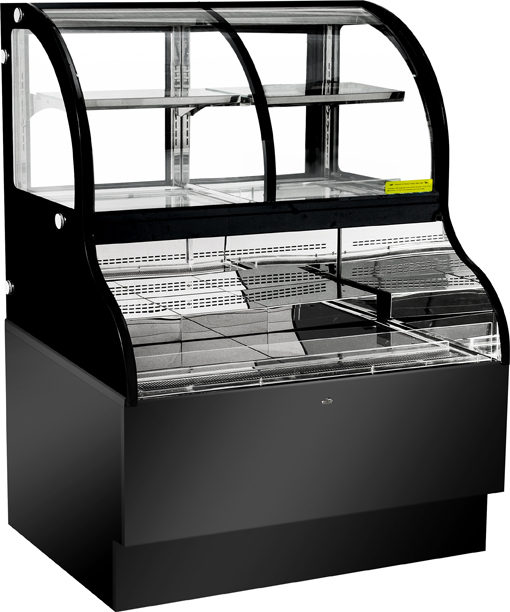 Bring this refrigerated floor display case to your convenience store, deli or bakery and start showcasing your products the right way to increase impulse sales.